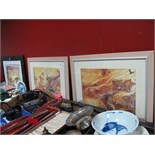 Josh Kirby Three Fantasy Prints, including 'Sorcery', 'The Colour of Magic', approximately 28 x 39cm. 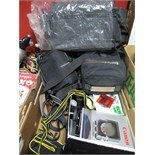 A Sigma UC 70-210 M/M F4-5:6 Lens, boxed Canon EOS 600 camera, Canon EF 50mm F/8II lens and other camera accessories. 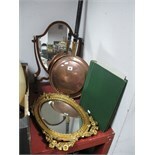 A Pair of XIX Century Still Life Paintings on Glass, large pottery vases, brass plaques, plated wares, ceramics. 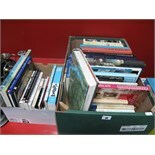 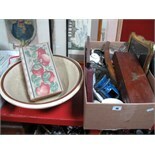 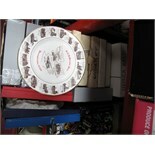 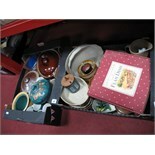 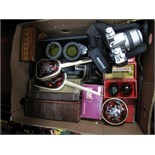 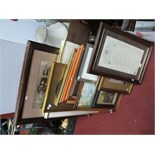 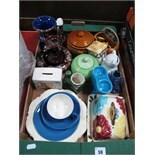 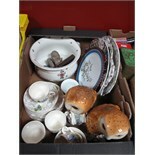 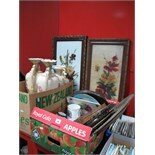 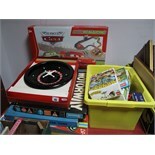 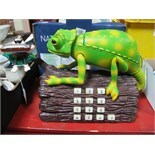 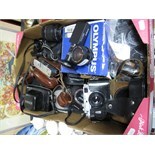 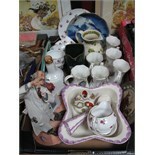 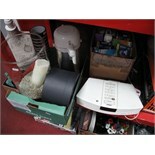 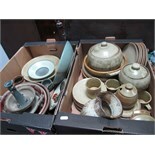 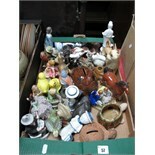 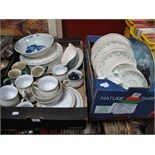 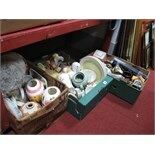 A Mahogany Box, ceramics, picture frames, earthenware mixing bowl, etc. 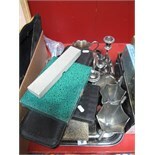 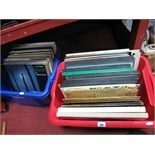 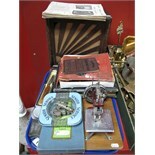 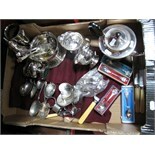 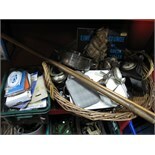 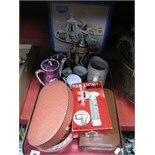 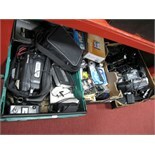 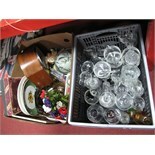 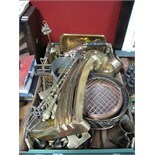 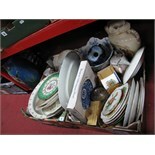 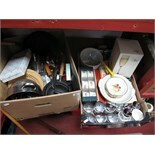 Loose Plated Cutlery, enamel dish and cover, mantel clock, LP's, cameras, binoculars, E. J. Riley Ltd smoker rest, cane basket, etc. 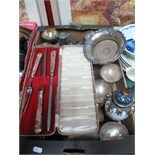 A Ladies Musical Manicure Box, gent's travelling case, Continental tea service, H Samuel plated tea service. 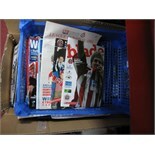 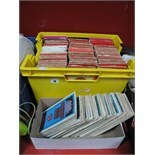 Football Programmes, mostly 1960's - 2000's including many Sheffield derby issues, Chesterfield, S.
A Quantity of Playworn Diecast Vehicles, by Matchbox, Hot Wheels, Corgi Whizwheels, etc. 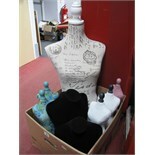 'Rian' and 'Marccain' Feather Dress Accessories, L.S.A. 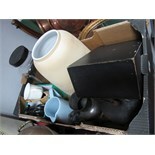 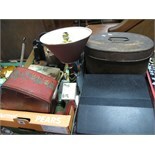 vase, Hormel thermos flask, Bose radio, light bulbs, etc, (untested sold for parts only). 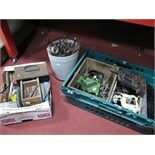 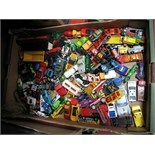 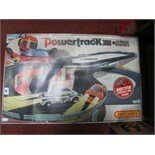 A Matchbox Powertrack 3000 Slot Racing Set, (boxed). 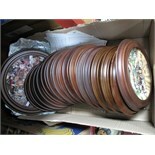 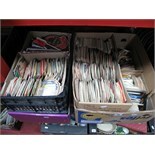 45RPM Records, to include Goons, New Seekers, Wayfarers, J.R.C radio, candelabra. 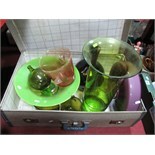 A Case of Coloured Glass Vases, together with a bowl. 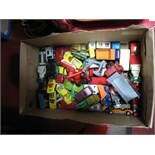 Two Scalextric Pixar Cars Micro Sets, a quantity of modern Lego (boxed and loose), Go, Roulette, etc. 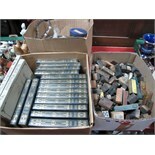 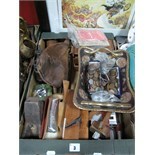 Coins, snuff box, models, weights, etc:- One Box, together with an L. M & S Railway plaque. 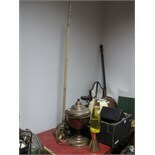 A Lava Lamp, copper tea urn, posser stick. 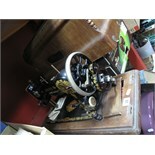 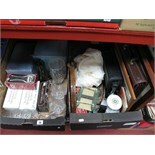 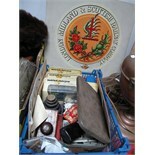 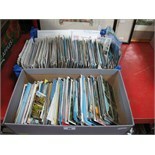 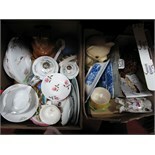 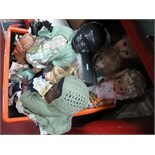 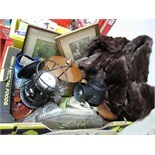 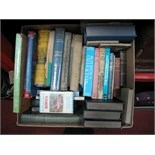 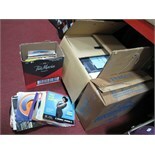 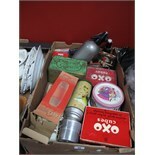 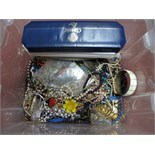 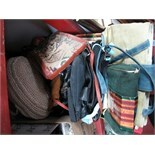 A Sewing Box and Contents, tin box, postcards, hall clothes brush set, table lamp, typewriters, tin hat box, etc.